Travel with Cougars on Tour! Whether by land or sea, our Cougars on Tour trips are designed to promote educational and cultural experiences for our alumni and friends. As a seasoned traveler or joining us on a trip for the very first time, we invite you to explore the globe with Cougars on Tour. Our tours are open to anyone so if you have family or friends you enjoy traveling with, please feel free to invite them to join you on these once-in-a-lifetime experiences. When you travel with Cougars on Tour a portion of your tour price will come back to the UH Alumni Association, helping our organization fund scholarships, events and programs. We hope you will take advantage of one or more of the wonderful travel opportunities in the coming year. If there are specific brochures you would like to request, please complete this form. To be added to the travel interest list, to receive all future brochures and updates, please complete the form below. For any questions regarding Cougars on Tour, please contact Kendra at 713-743-8982 or kahakanson@uh.edu. We sincerely appreciate your support for our Cougars on Tour program and the University of Houston Alumni Association. Please be aware that in this ever-changing travel climate, all prices, itineraries, dates and departures are subject to change. For all Athletics travel, please be sure to visit our Coogs on the Road page! Join this once-in-a-lifetime opportunity to commemorate the 75th anniversary of the historic D-Day landings during this eight-night journey. By exclusive arrangement, walk the hallowed beaches of Normandy, France with Dwight David Eisenhower II, grandson of General and President Dwight D. Eisenhower. Cruise aboard the exclusively chartered, Five-Star small ship Le Champlain from London, England, to France, Wales, Ireland and Scotland with guided excursions in each port of call. From $2,599 per person, double occupancy – AIR INCLUDED! Take in the views of historic Marseille, and see striking architecture in Barcelona and historic monuments in Palma de Mallorca aboard Oceania’s Riviera. Discover Napoleon relics in Ajaccio, and visit boutique shops and sidewalk cafes in Portofino and renowned monuments in Florence and Pisa. Cruise the Rhine Valley, and experience three of the world’s great railway journeys while traversing four countries. Travel through Zermatt, Andermatt, Lucerne, Berne and Basel. Cruise aboard the exclusively chartered, deluxe Amadeus Silver II en route from Basel to Amsterdam, the Netherlands. Port calls include Strasbourg, France, Mannheim, Rudesheim, Koblenz and Cologne, Germany. From $3,899 per person, double occupancy – AIR INCLUDED! Step back in time in Waterford, the oldest city in Ireland, delight in the fishing communities of Cobh, and take in the unparalleled beauty of Bantry aboard Oceania’s Nautica. Sink into Gaelic heritage at An Taibhdhearc in Galway, explore historic city of Londonderry, see the birthplace of the Titanic in Belfast and embrace Viking history in Douglas. Spend 10 days discovering the maritime history of Nova Scotia, New Brunswick, and Prince Edward Island. Explore beautiful Halifax, including visits to the Citadel National Historic Site and Fairview Cemetery – the final resting place for 150 victims of the RMS Titanic. Tour the south shore, admire the sunning landscape of Lunenburg, and continue to Peggy’s Cove to see its famous lighthouse. Visit Digby, Planters Ridge Winery, Saint John, and Campobello Island. Dine on fresh lobster, learn about local fishing traditions, and so much more! Get to know Iceland’s most famous natural treasures, experience black beaches, glacier views, stunning coastlines, and take a plunge into the healing mineral waters of the Blue Lagoon. Walk in the footsteps of your favorite Game of Thrones characters and take time to visit the striking wilderness chosen to represent the regions north of the Seven Kingdoms. Participate in a Reykjavik bar crawl and an evening out at your leisure! This specially designed itinerary uniquely combines Five-Star accommodations with exploration-style travel as you cruise from Vancouver, British Columbia, to Juneau, Alaska, under the lingering glow of the long days of summer. Traverse narrow fjords and isolated coves inaccessible to larger ships, and experience thrilling wildlife up-close – from observation decks, during Zodiac excursions and from the comfort of elegantly appointed Suite and Staterooms. $2,699 per person, double occupancy – AIR INCLUDED! Unpack once, enjoy 6 nights on the Cape, and experience its beauty and history while also visiting amazing Boston, mansion filled Newport, RI, and via ferry, the two most scenic and famous Islands off the Cape, Martha’s Vineyard and Nantucket. Early Booking Discount if booked by March 5, 2019! Join us for this comprehensive itinerary showcasing five countries in the heartland of central Europe. Enjoy three nights in the world-class city of Prague before cruising the celebrate Blue Danube from Passau, Germany to Budapest, Hungary. High notes of your experience include a distinctive schedule of exclusive, specially arrange expert lectures, private classical music performances, guided excursions in Prague and in each port of call along the Danube River, and an overnight stay in the fin-de-siecle grandeur of Vienna, Austria’s extraordinary capital. $4,874 per person, double occupancy – AIR INCLUDED! From the breathtaking Amalfi Coast to eternal Rome, through the gentle Umbrian countryside to Tuscany’s crown jewel of Florence and wondrous Venice, this wide-ranging 16-day small group tour showcases ancient sites, contemporary life, priceless art, and beautiful natural scenery. Enjoy more time in Venice on an optional 3-day/2-night post-tour extension. From $2,899 per person, double occupancy – AIR INCLUDED! Special Offers if booked by Mar 12, 2019! Sail to Livorno, a jumping-off point for adventures in the cities of Florence and Pisa and Tuscan, and take in Corsica’s stunning rugged countryside aboard Oceania’s Sirena. Visit Ajaciio, explore La Spezia’s old town’s trattorias or consider a trip along the Cinque Terre. Stroll through Portofino’s sidewalk cafes and shops, see Monte Carlo’s famous extravagant casino and discover Toulon’s vibrant waterfront. Take in Mallorca de Palma’s impressive architecture and Valencia’s lush parks on this 10 night luxury cruise. From $1,625 per person, double occupancy – AIR INCLUDED! Croatia land has seen kingdoms and empires come and go leaving behind cultural treasures and cuisine. Croatia’s natural beauty can be found at UNESCO World Heritage Parks, amazing islands and beaches with crystal clear waters. It is no surprise that the makers of the HBO TV series ‘Game of Thrones’ used many of these historic locations as filming sites. Walk along the ancient city walls of Dubrovnik, the setting for King’s Landing and visit the ‘Red Keep.’ Step inside Diocletian’s Palace in Split, a UNESCO World Heritage site and one of the world’s most impressive Roman monuments – and visit the dungeons where Daenerys Targaryen kept her Dragons. From Zagreb to Dubrovnik, be captivated by enchanting Croatia. From $3,250 per person, double occupancy – AIR INCLUDED! Unpack once and enjoy a five night stay in beautiful Southern California. The tour features Orange County’s most famous sights and beach towns including Mission San Juan Capistrano, Laguna Beach and Newport Beach, Hollywood and Beverly Hills, the Richard Nixon Presidential Library and Museum, and a Harbor Cruise in San Diego. Ring in 2020 with a New Year’s Eve Dinner Party, the Tournament of Roses Parade, and an exclusive tour of the Showcase of Floats. From $5,099 per person, double occupancy – AIR INCLUDED! Special inclusions if booked by April 11, 2019! Discover the culture, landscape, wildlife, and cuisine of the southern portion of Africa during their late summer season – the perfect time to enjoy these exotic lands. Take in the dramatic natural beauty of Cape Town, a city exuding warmth and energy. Enjoy marine and wild life sighting in the Walvis Bay and stroll along golden sand beaches in Port Elizabeth and East London. Experience the energy of Durban, a thriving metropolis set against pristine beaches, and tour some of the most magnificent wetland scenery in Richards Bay and Maputo. $2,945 per person, double occupancy – AIR INCLUDED! This travel experience features a combination of American West highlight with the scenery of Grand Canyon National Park and the red rocks of Sedona. Visit the Native American history at the Montezuma Castle National Monument, experience the Old West nostalgia of two train rides, and 5 nights at a beautiful resort in Sedona, Arizona. From $4,299 per person, double occupancy – AIR INCLUDED! Special inclusions if booked by July 11, 2019! Laid-back island life awaits you in the South Pacific on this spectacular cruise aboard the luxurious Regatta. Discover Papeete’s pristine beaches and lagoons, take in the vivid colors of Moorea, and search for rare birds in Fakarava. See the world’s tallest waterfall in Nuku Hiva and abundant marine life in Rangiroa. Spend two days in Bora Bora before ending back in Papeete, spending time on the calm shores of Raiatea. From $3,399 per person, double occupancy – AIR INCLUDED! Experience the beauty and culture of the western Mediterranean aboard Oceania Cruises’ elegant Riviera. Visit Barcelona, the sun-kissed capitol of Spain, and wander the countryside of Provence. See the site of the famed Grand Prix in Monte Carlo, visit the beach clubs of Saint-Tropez, and take in the masterpieces of the Renaissance in Florence. Visit Pisa and the captivating Tuscan countryside, experience the old-world beauty of Valleta, explore the Duomo, and walk the cobblestone streets in Sorrento before ending your journey in Rome. Brochure coming soon! Submit a request below to receive it first! Spend four nights in St. Moritz, the mountain resort town loved by royals, celebrities and outdoor enthusiasts alike, and journey by train to the colorful Swiss town of Zuoz. Board the Bernina Express and gaze at dramatic vistas as you ride from snowy peaks to temperate Tirano in hours! Pass little Swiss villages on a drive to Tremezzo, sitting on the shores of Lake Como. Cruise to the quaint villages of Bellagio and Como, and see Leonardo da Vinci’s “The Last Supper” in Milan. Stroll through palace gardens in the Borromean Islands and learn cooking secrets at a family-owned restaurant. From $2,925 per person, double occupancy – AIR INCLUDED! Travel with us to the Land of Enchantment to enjoy New Mexico’s beautiful landscapes, history and architecture. Enjoy 3 nights in Santa Fe, renowned for its beauty, Pueblo-style architecture & museums. Visit the Indian Pueblo Cultural Center, Taos Pueblo, Old Town Albuquerque, and the incredible Albuquerque Balloon Festival! Witness the Mass Ascension, which includes over 500 balloons taking to the sky. Also experience the balloons up close and illuminated on solid ground during the Balloon Glow. Immerse yourself in rousing, romantic Paris on this seven-night adventure through the City of Light. Cruise the Seine to take in the highlights of Parisian architecture, and explore Le Marais, finding trendy boutiques and bars nestled on narrow medieval streets. Learn about artistic treasures at the Louvre and the Musée d’Orsay, and visit the opulent Palais Garnier Opera House. Sample the city’s artisan-made foods on a gastronomic walking tour, and find out how African-American culture influenced Jazz Age Paris as you explore Montmartre. Then, travel to Dijon via high-speed rail to tour the ancient capital of Burgundy and enjoy lunch at a historic mansion. Feel the magic of the holidays in France, Germany and Switzerland on a seven-night Rhine River cruise. Celebrate centuries-old traditions and shop festive markets overflowing with handmade decorations, toys, jewelry and other treasures. Delight in the sounds of carolers and bells and the scent of nutmeg, cinnamon and fresh pine in the air. Sip warm spicy Glühwein on the ship. Visit a hillside castle and enjoy a musical performance in Heidelberg. Admire Cologne’s spectacular Gothic cathedral, the red sandstone landmarks of bustling Freiburg, and the pastel-colored houses of charming Breisach. Personalize your cruise with a variety of included excursion choices in Basel, Breisach, Rüdesheim and Strasbourg, such as a wine tasting, art tour or culinary experience. Aboard your first-class ship, revel in the beauty of the Rhine Gorge. 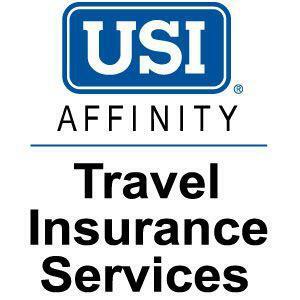 Our travel insurance partner, USI Travel Insurance Services, offers reasonable packages in three different tiers. This offer covers not only Cougars on Tour trips, but also personal travel! Interested in learning more about UHAA travel? Sign up for our travel notifications! We’ll let you know when new trips are announced and when new information is released.